Google today updated its Google+ client on iOS devices with the ability to use the service (and the app) with Google-hosted custom domains via the Google Apps service, the feature unveiled last week. In addition to the obligatory bug fixes and performance improvements, the new version also supports typing notifications and presence information in the built-in Messenger feature. And if you share a lot of photos and love browsing through other people’s albums, you will love the ability to +1 photos. A completely redesigned Google+ client for Android also went live in Android Market yesterday, with the user interface that closely resembles its iOS counterpart and other stuff. Release notes after the break. * Circles let you share the right things with just the right people. * Visit the stream to get updates from your circles or see what people are saying about things nearby. * Messenger is super-fast group messaging for everyone in your circles. 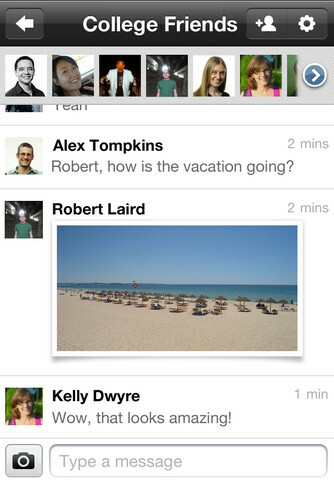 * Mobile Hangouts allows you to video chat with up to 9 friends while you’re on the go.